What Is The Difference Between An Upper Or Lower Dental Night Guard? Upper or lower dental night guard? Which one do I choose? Many people grind or clench their teeth at night during sleep. 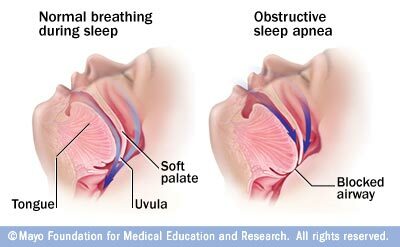 This is a condition known as nocturnal bruxism. Over time, bruxism can lead to the wearing away of the teeth’s enamel, as well as a host of other problems such as cracked teeth or jaw pain. After the enamel is worn, this also opens up the opportunity for cavities to form in the teeth. Although nocturnal bruxism typically can’t be “cured”, there is an easy solution for those who grind or clench at night in the form of wearing an upper or lower dental night guard. 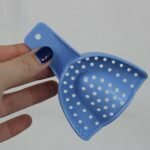 While there are some dental night guards that can be purchased from the pharmacy, a patient’s best bet is to have one custom made by your dentist or an online dental night guard lab. This ensures a proper fit that will be effective and also provide comfort while preventing slipping. The dental night guard acts as a cushioned barrier between the upper and lower teeth, so that while your jaw may still in fact be going through the motions of grinding or clenching, the teeth are not making contact with each other, which prevents further damage to them. Dental night guards can be made for either the upper teeth or the lower teeth, but usually not both. 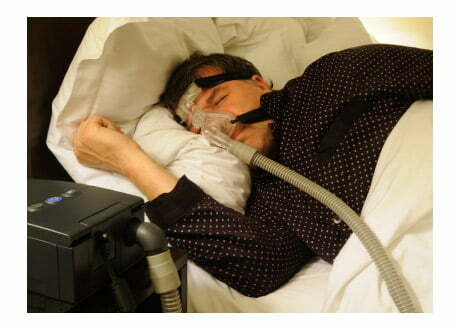 Many people wish to know “what is the difference between an upper or lower night guard?”. They also wish to know if one type of guard is better than the other and which one they should choose. For common cases of bruxism, most find that either teeth arch will provide the same results. The upper dental night guard is still the most common type made but this may be due to a slow progression towards the acceptance & use of lower night guards within the industry. 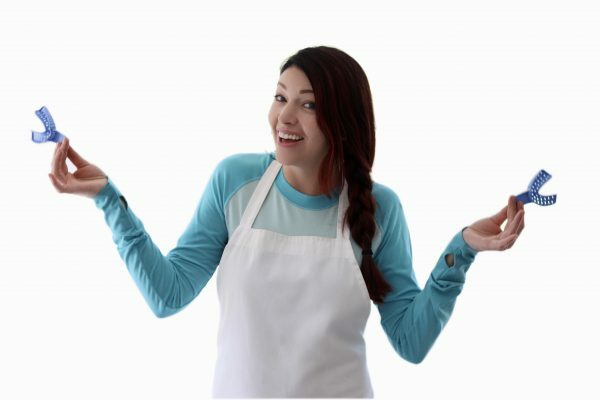 In other words, it may simply be that because the dental night guard was originally made for the upper teeth, dentists/lab technicians are still commonly fabricating the upper teeth guard out of habit or preference for no real or substantiated reason. Though you will always find varying opinions such as dentists who favor lower guards for their patients who grind their teeth. Most people will first learn of their bruxing disorder through their dentist & so naturally they make a follow-up appointment in order to have impressions made for a custom dental night guard. An alternative and cost effective option for creating a great fitting custom night guard is to contact us here at Sentinel Mouthguard Co. & we will mail out a dental impression kit where you can take your own impressions at home and mail them back to our lab to have the custom guard made for you. We provide a cost saving solution without ever having to leave your home! More about us here. Either way, a custom made guard provides you with a much better fit than one of the boil and bite versions you might buy in the local pharmacy or retail outlet. Most mouth guards are made from materials such as acetate, rubber, acrylic, or vinyl. 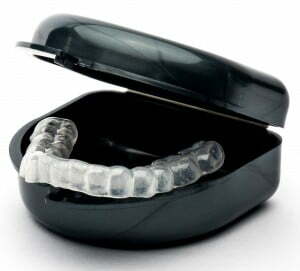 You should check to make sure your night guard is BPA, Silicon & Latex free. When either an upper or lower dental night guard fits properly, the wearer should not experience slipping or moving of the guard. They also should not be able to “spit” the guard out during sleep. The guard should be comfortable and mold itself to your teeth while keeping the teeth in place. This is another reason why an upper or lower dental night guard made by a dental professional or lab is far superior to those found in stores. Sentinel Mouthguards are made from BPA, Silicon & Latex FREE material. EVA (Ethylene – Vinyl Copolymer) is the material used for the Sentinel Soft Dental Night Guard. This product contains no HAP’s or ODS & does not contain any chemicals listed under the U. S. Clean Water Act Priority Pollutant and Hazardous Substance List. This product is not considered to be hazardous under the OSHA Hazard Communication Standard and is regulated under Section 311-312 (40 CFR 370). It is safe to use in the mouth on a nightly basis and will not irritate the oral area or skin. The Sentinel Hard Dental Night Guard is made of a copolyester material. Prolonged contact is non-irritating to the oral cavity or skin. This product also contains no HAP’s or ODS, does not contain any chemicals listed under the U. S. Clean Water Act Priority Pollutant and Hazardous Substance List & is not considered to be hazardous under the OSHA Hazard Communication Standard. The Sentinel Dual Laminated Night Guard is a combination of both materials stated above and meets all likewise requirements. When taking your lower dental impression you will receive trays that look slightly different than the upper teeth impression trays. The lower teeth impression tray has a “cut out” for your tongue. Follow the instructions exactly as written and you will be sure to get a great impression no matter which teeth arch you choose ensuring that your upper or lower dental night guard fits like a glove. 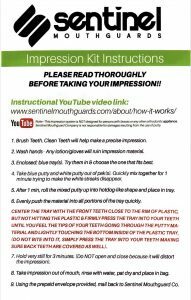 Your Sentinel Mouthguard dental impression instructions will come with directions for taking the upper teeth impression. Please note it is the same exact process for the lower teeth. What are the dentists saying? Consult your dentist as to whether they feel your individual case would benefit most from an upper or lower night guard. In most cases, it’s simply a matter of getting a well fitting guard that does its job of keeping the upper and lower jaw from coming into contact with each other. You don’t have to leave your house. 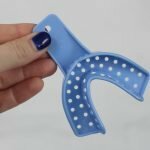 Sentinel Mouth Guard Company is an eCommerce dental mouth guard company located in the St. Petersburg/Tampa area distributing custom night guard products worldwide. 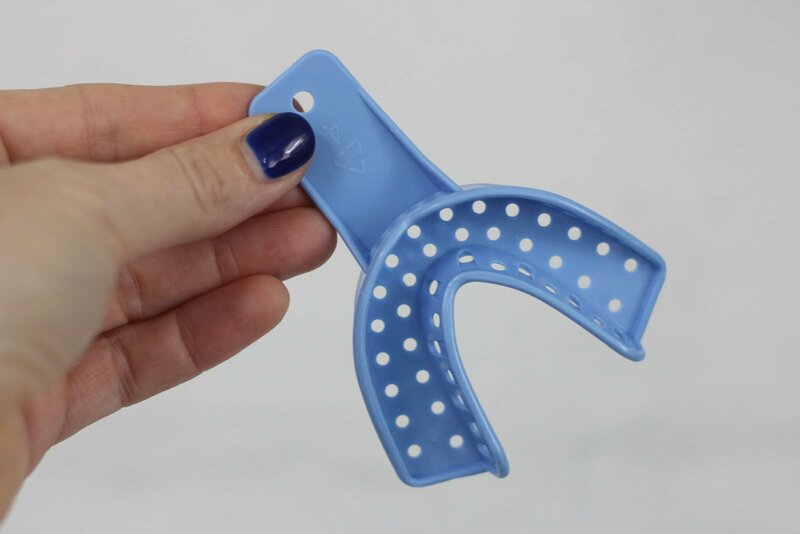 We specialize in custom made mouth guards for persons suffering from bruxism (the habit of excessive teeth grinding and/or jaw clenching) and athletes involved in contact sports. When you want to protect your teeth against the irreversible effects of involuntary teeth grinding, the only true option that is available is to protect your teeth with the use of a dental night guard. A dental night guard is for those who want to preserve their teeth, and perhaps, save on huge dental bills they will likely incur in the future. Instead of paying dental office prices, check out our direct lab services. 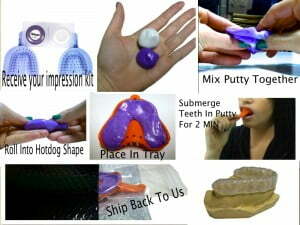 We send out a DIY teeth impression kit with everything you need to take a nice cast of your teeth. Simply mail it back in to us using the prepaid mailer and never leave your home! If you live in Tampa, Idaho, Montreal or even Singapore we can help! It’s time to shield your teeth from the effects of jaw clenching or teeth grinding. Don’t waste your money on some other store-bought night guard product. The reason behind the high dissatisfaction rate amongst most of the night guards available is because these are not designed from a mold of your teeth, hence they become extremely uncomfortable at night. With that in mind, you should be looking for a custom-made dental night guard that will fit your teeth like a glove and not add stress on your jaws. 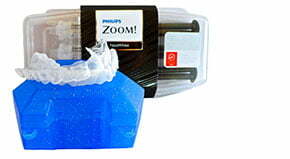 Our low-cost dental night guards are customized for you and able to fully protect your teeth. The Sentinel Night Guard is made by experienced, professional lab technicians & designed with the unique dental contours of the patient in mind. These include the hard dental night guard, dual laminated night guard, and the soft dental night guard. Each one of these come in varying thicknesses & material unique to patients who order them. The decision to choose a particular night guard over the other depends on your dentist’s prescription and whether you’re an intense or moderate clencher/grinder. The mechanism behind the Sentinel Night Guard is very straight forward. The oral piece simply creates a small space between your upper and lower arch. This way, your teeth will not come into contact with one another. 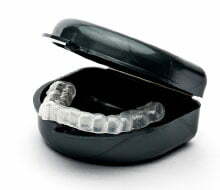 These customized night guards are made out of the mold of your teeth with the best material money can buy and because they are designed to follow the impression of your teeth, they will fit snugly and comfortably, whether you’re using them for sleeping at night or athletics purposes. The correct dental impression will include your teeth and also extend towards the gum tissues on the upper or lower part of the teeth. 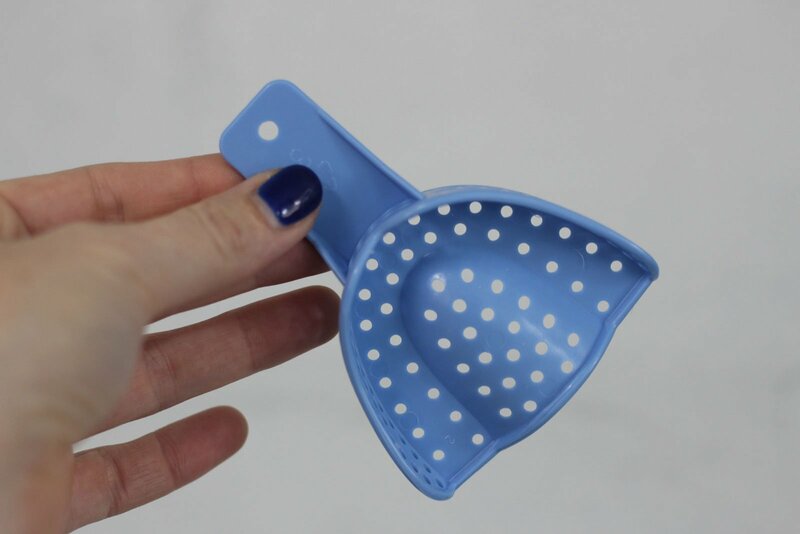 Customers in Tampa/ St. Petersburg and those buying from other parts of the world can enjoy the fact that these night guards are more superior than boil & bite models. They’re the highest tier in mouth protection and outperform over the counter or stock mouth guards. What’s more: they’re thin, and this makes talking, breathing or even swallowing easier for the wearer. Sentinel mouth guards can be bought online, plus our Live Chat experts are readily available for your questions. The company is situated in St. Petersburg/ Tampa Florida area (available online only), though it serves customers across the globe. Therefore, it only makes sense to protect your teeth using this low-cost solution rather than visiting your dentist for a costly tooth job in the future. Same as dentists at an affordable price.